Congress is set to extend a controversial visa program that provides a pathway to United States citizenship popular among Chinese citizens who invest in American businesses in exchange for green cards. The EB-5 foreign investment program, which allows public and private entities to propose development projects into which foreign nationals can invest their money, is likely to be granted a 10-month extension with no changes and will run through Sept. 30, 2016. 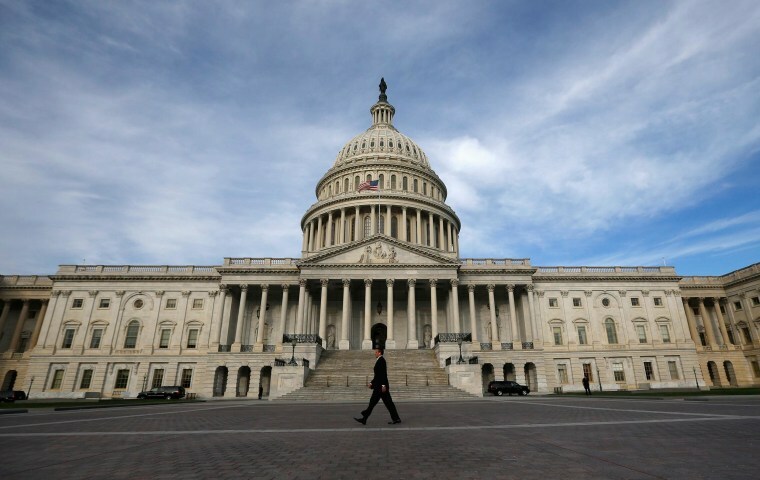 Part of the federal spending legislation expected to pass later this week, the program was set to expire last Friday before Congress passed a stopgap bill to continue funding government agencies through Wednesday. News of the extension comes a little more than a week after the Securities and Exchange Commission announced it had taken a series of actions against lawyers in the U.S. accused of offering EB-5 investments even though they were not registered brokers. The current administration of EB-5 regional centers, government-authorized businesses that pool foreign investment money for development projects that account for roughly 95 percent of EB-5 investments, has also drawn criticism from some federal lawmakers, including Sen. Dianne Feinstein (D-CA), who said it should end in a Nov. 4 opinion piece for Roll Call. “I believe the program is deeply unfair, sends the wrong message about this country’s values and is prone to fraud and abuse,” Feinstein wrote. Established by Congress in 1990, the EB-5 visa program was designed to help create American jobs and stimulate the economy. Some EB-5 investments have gone into major projects like the Hudson Yards in New York and the Hunters Point Shipyard in San Francisco, others into chain stores, hotels, and real estate ventures. With roughly 10,000 visas awarded annually, the EB-5 program has become an expedient way for wealthy Chinese citizens to earn permanent U.S. residency and later bring over their family members. In 2014, Chinese nationals accounted for about 85 percent of EB-5 visa recipients, according to State Department figures. Although caps exist on how many applicants can receive EB-5 visas from each country, the program is "relatively unpopular" outside of China and a few other countries, thus allowing the large number of Chinese EB-5 recipients to exceed the cap, according to a study by Savills Studley, a real estate services firm. To receive a conditional EB-5 green card, applicants must invest between $500,000 and $1 million in a U.S. business, depending on its location, and create or preserve at least 10 jobs. It can take between two and three years for Chinese EB-5 applicants to receive green cards from the time they apply. In August, the United States Government Accountability Office issued a report saying the United States Citizenship and Immigration Services, the federal agency that administers the EB-5 program, must do more to assess fraud risks and improve the way it reports economic benefits of EB-5 investments to the public and Congress. Three bills — one introduced in the Senate, and two in the House of Representatives — aim to reform such EB-5 provisions as the minimum investment amount, the processing times for paperwork, and how jobs are created, but none were included in the spending legislation. Sen. Patrick Leahy (D-VT), who co-sponsored the Senate bill with Sen. Chuck Grassley (R-Iowa), has said their American Job Creation and Investment Promotion Reform Act would make improvements by providing investors with greater protections, granting the Department of Homeland Security additional authority to deny or terminate regional center programs or visas when there is fraud or criminal activity, and ensuring that more investments go toward rural areas and areas with high unemployment. The bill would renew the regional center program, established in 1992, for another five years. As of Dec. 2, there were 781 approved regional centers, according to the USCIS. Meanwhile, as lawmakers mulled over making changes to the EB-5 immigrant investor program in early December, the SEC announced Dec. 7 that it had taken enforcement actions against a number of U.S. attorneys accused of acting as securities brokers to raise money for EB-5 investments. “The lawyers in these cases allegedly received commissions for selling, recommending, and facilitating EB-5 investments, and they are being held accountable for disregarding the relevant securities laws and regulations,” Andrew J. Ceresney, director of the SEC enforcement division, said in a statement. One of the accused attorneys, Hui Feng of the Law Offices of Feng & Associates, told NBC News Wednesday that he “vehemently” denies civil charges filed in the U.S. District Court for the Central District of California alleging he acted as a broker and that he engaged in a scheme to secretly receive commissions for selling EB-5 securities. Feng, an immigration lawyer who said his clients include Chinese EB-5 investors, said he receives a finder’s fee from regional centers to which he introduces his clients only if their immigration applications are successful. If found guilty, Feng and his law office would have to pay back any illegal payments, along with interest and a monetary penalty. “We should act on our bill when we return in January to ensure integrity and to demand ongoing oversight of the program,” he said.